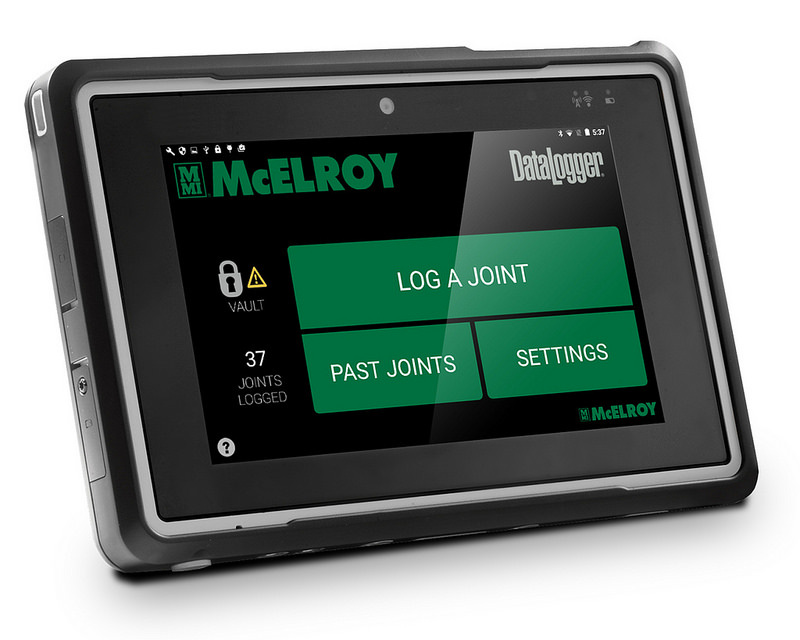 McElroy’s new DataLogger 6 is loaded with new features that make collecting and analyzing data on fusible pipeline projects easier than ever before. 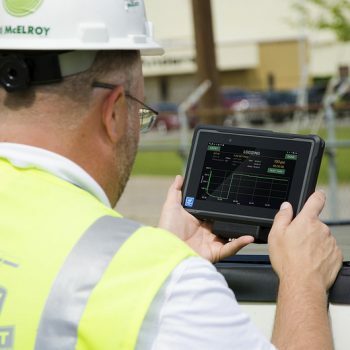 The ruggedized, Android-powered tablet offers a modernized touchscreen interface and easy-to-navigate software system with on-screen instructions. 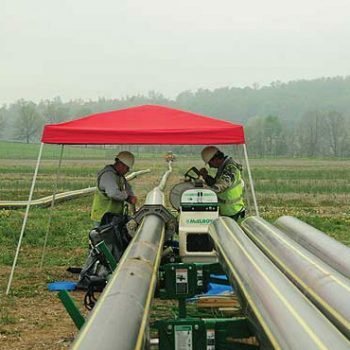 Fusion operators are guided through each step of the fusion process to ensure that the pipe joint was fused with the correct pressure and heating time, according to the supported standards. 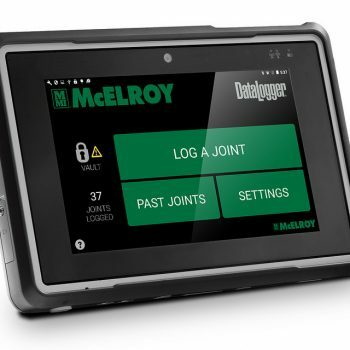 The new DataLogger has a larger glove-friendly, HD touchscreen that produces excellent visibility even in direct sunlight and is water and dust resistant. A wired connection ensures the reliable transfer of information from the fusion machine to the DataLogger which syncs wirelessly to the DataLogger Vault™, where joint records can be safely and quickly sorted, tagged and shared by machine, joint, operator, device or job. 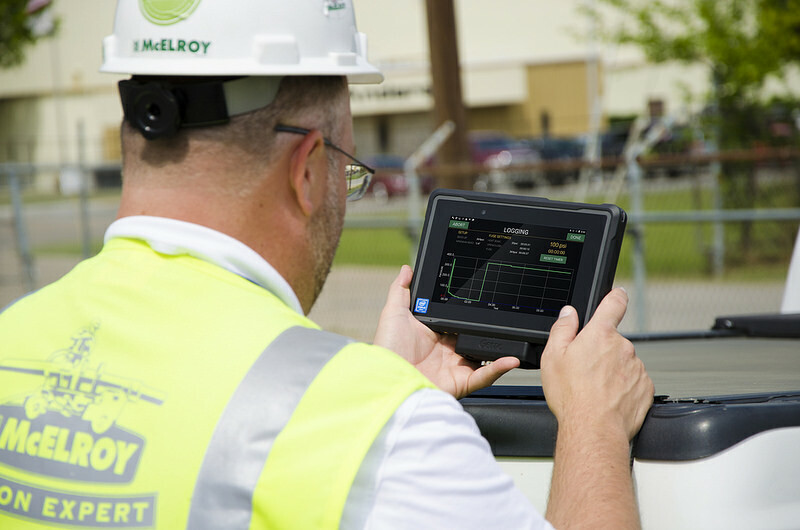 Other new features include front and rear cameras to capture jobsite conditions, GPS joint location, a laser barcode scanner to input pipe and fitting information, a real-time fusion graph for visual interpretation, and contextual help including how-to videos and other media for easy reference. Download a high-resolution photo of the DataLogger 6 from our website.